As usual, Berlin proves to be an excellent town for short weekend trips. For us living quite close even more so. I live close to the airport in Stockholm, and the airport in Berlin is very central (the local bus between "Tegel" and the city center takes less than 20 minutes). I plan to make this a yearly trip around Christmas time. 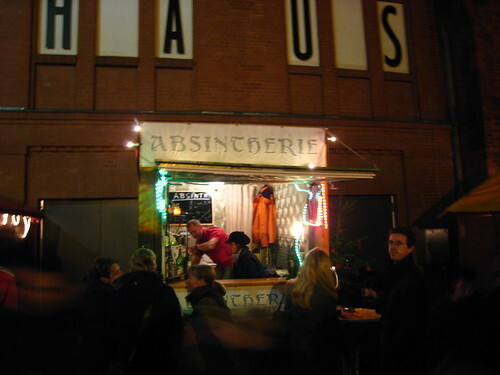 At the Christmas market at Kulturbrauerei this booth sold Absinth... beats the traditional Glühwein by a mile. Not for everyone though. 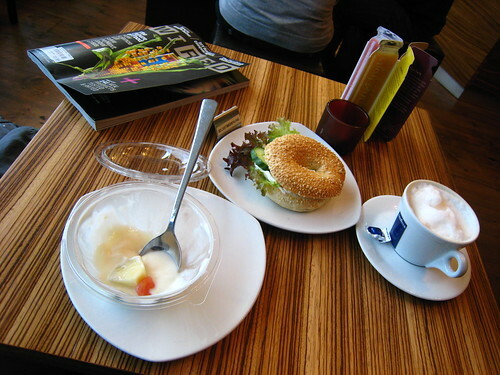 Berlin is famous for its late breakfast habits. Many places serve breakfast until 16, or even 24 hours... My favourite places are, in order, Café Einstein, Zillemarkt and Schwarzes Café. Only Einstein is really hi-end. The German Chancellor took Clinton to Gugelhof for dinner once. 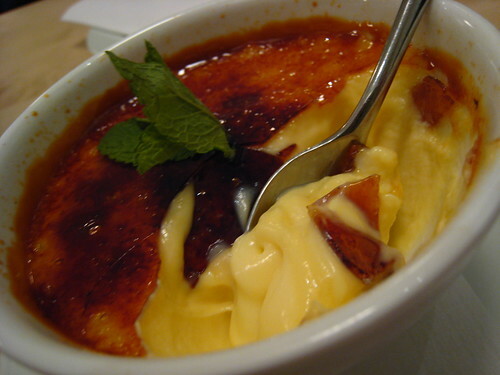 They serve German/French food (Alsace), and a bit more stylish and refined than normal. A bit formal service (not in a bad way though), otherwise relaxed and oriented towards quality. 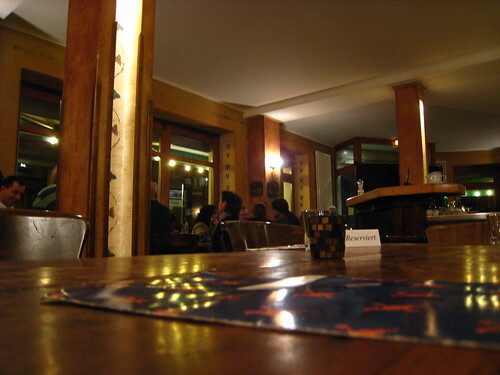 Solid Alsace food, like Tarte flambée and Choucroute. Located in Prenzlauer Berg. The location of Renger-Patzsch is really off center. It's in the middle of a residential area where not much else is going on. It's worth a trip though. 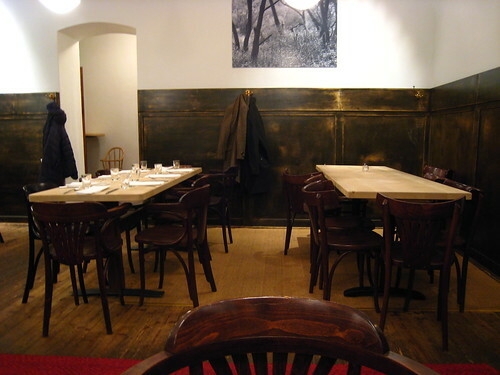 I was really impressed, by the service, the food and the nice patina of the restaurant interior. The best food I've ever had in Berlin. Menu changes often. U-Bahn station Eisenacher Straße. 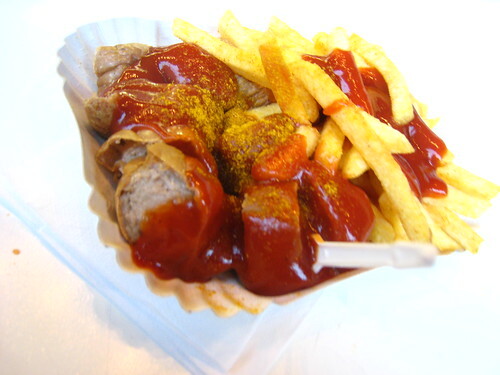 Let's not forget the street food - which typically means Döner/Kebab and this special Berlin classic, Curry Wurst. 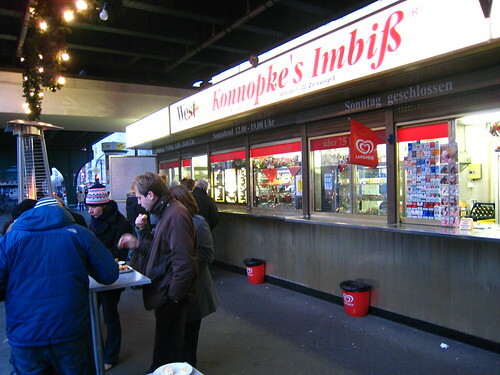 Konnopke's Imbiß is considered the original. Located under the Eberswalder Straße substation. Content updated 10 March 2019. 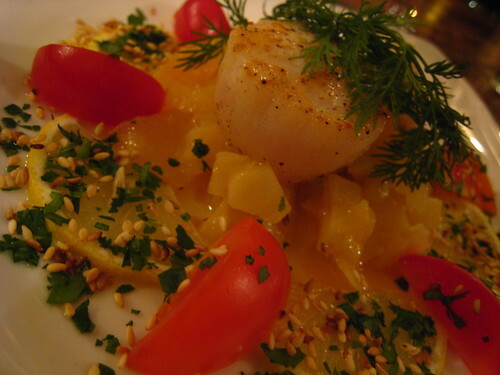 <URL: http://boralv.se/blog/?id=1229090518>. This server is able to calculate 22.9 pages like this per second. No computers were harmed in the making of this page. CSS Validator, HTML Validator.